Will these be In the USA? If so, what month? It's highly likely that these will come out in the US. However, we don't know when. Ooo. Spicy. That Grimlock will look great next to my Kreons. The TF/MLP promotion is now available in the United States! [/url] American collectors can breathe a sigh of relief, as you lucky ducks are getting all sixteen toys! Not just halfsies like some countries had received. 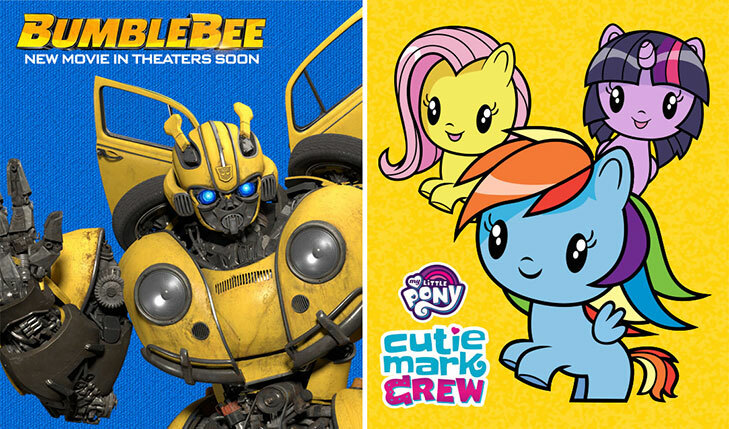 Amusingly, the Transformers half of the promotion is being billed as a Bumblebee movie tie-in, despite the toys having nothing to do with the film. Here are separate commercials for both sets of toys. I have Bumblebee now, I need one of those Grimlocks. Was watching the review on these and was wondering. Are these also available in Canada?